There’s nothing more satisfying than meeting a goal you’ve been working toward for weeks, months, or even years. For many people, attaining financial stability is unlike any other feeling in the world. Contrary to popular belief, it’s possible to meet fiscal goals and avoid debt or uncomfortable future financial scenarios. In fact, the process is easier than you might think. In this article, you’ll learn tips and suggestions aimed at helping you get the cash you need quickly and safely. When it comes to finances, experts say “seeing yourself at the finish line” first is a great way to stay on track. Some people have had luck making saving a game. For instance, you might issue a family challenge to see who can come up with the most innovative ways to cut down on household expenses. Creating fun in this way makes working toward financial freedom more fun. Start by listing all expenses and discretionary spending. This will help you identify areas where you can save, and/or financial categories that can be consolidated or eliminated from your budget. To that end, financial experts say when shopping, it’s best to seek out sales and buy only those items when possible. For instance, you can plan weekly meals around which ingredients are discounted at the grocery store that week. 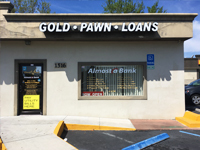 Keep in mind that many needed items can be purchased for discounted prices at pawn shops in Palm Coast and the surrounding region. Similar ideas include farmer’s markets, yard sales, and by shopping at “big box” discount stores. In addition, it’s a good idea to remember the ‘retail clock.’ Though seasons are subtle in Central Florida, many stores still have a set cycle to bring in new clothes and other items. Purchasing at the end of that cycle could result in big savings. Adhering to a long-term financial plan can be frustrating and overwhelming. That’s why financial experts say it’s best to set smaller goals. This way, you can be glad that you’re making real progress toward your intended objective. In addition, it’s a good idea to devise other methods by which to generate needed income. Along with those mentioned, it’s helpful to know outlets that pay cash for gold in Deltona, Florida. A double-whammy solution, you’ll remove clutter from your home and get quick funds in the process. Another way to set yourself up for a strong financial future is to build a strong credit rating. Using and paying off a credit card each month is one of the most common ways to accomplish this. Financial experts contend it’s also wise to set aside some money each month for savings. In addition, having an emergency fund can help you avoid being forced to rack up debt on costly unexpected situations such as job loss, home repair, medical considerations, and more. In addition, if your lifestyle has recently changed (kids off to college, family member moving out), you could benefit from car title loans — turning unused vehicles into cash. Any financial planner will tell you that the best way to get out of debt and/or reach any financial goal is to know all tools available to you. 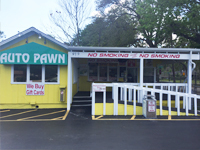 That includes pawn shops near DeLand and other innovative financial solutions. 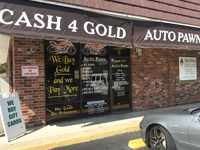 Along with the mentioned information, another great option is auto pawn. When you bring your vehicle in good working condition with a clear title in your name, you can be on the road toward financial freedom in no time. With three convenient Volusia County locations to serve you, we pawn all types of vehicles up to $100,000. Contact us today for more information, or drop by one of our locations to get started.